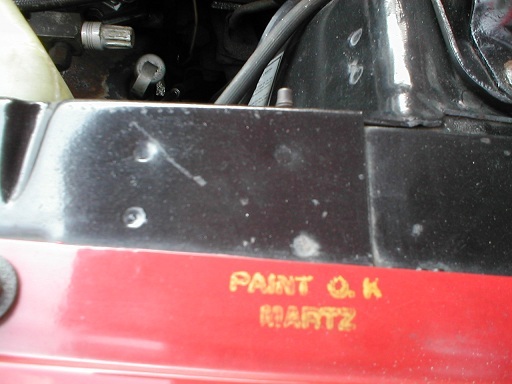 Paint inspection stamp or quality control stamps are one of those items that is often associated with concours cars. The information on this page is specific to 1968 New Jersey built cars. Too often, restorers pick things they like and copy them from other restorations. All of the photos on this page are original stampings. During 1968, it was common practice for the production line to inspect the quality of work before cars left the factory. Both Mustangs and cars later destined for AO Smith were inspected. The Mustangs were built as complete cars. So therefore, they may have additional stampings not found on 1968 Shelbys. 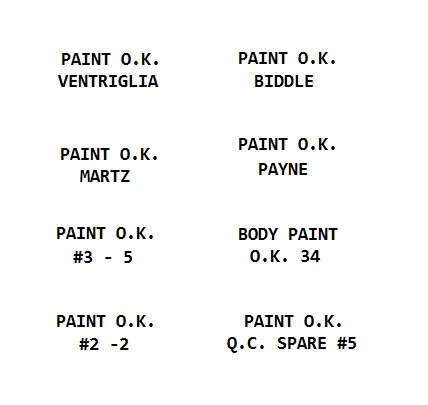 Here are some common paint inspector stamps used at New Jersey Assembly. There were literally dozens of people inspecting cars over the course of the year. 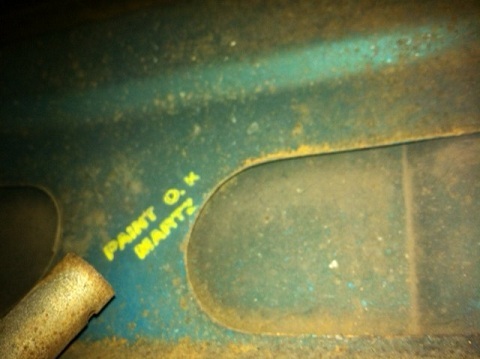 A good restorer will find an original car with a similar stamp before recreating one for a restoration. Stamps were either ink or paint. All the stampings I have seen were yellow. The stamping is done on finished paint and can easily be rubbed off. Shelbys are usually stamped in three locations. Once on the cowl, in an area around the rear hood seal. 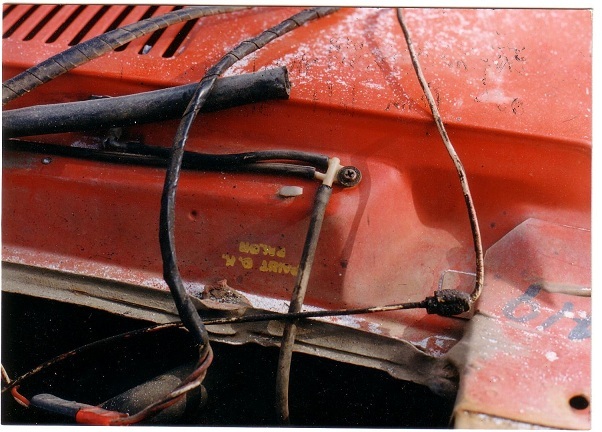 The other two stampings are on the upper, lip front fenders. These stamps may also be located on the inner fender on the area near the shock tower. Commonly, the two front fender stamps match. The cowl stamping is different. This indicates at least two inspectors were assigned to each vehicle. 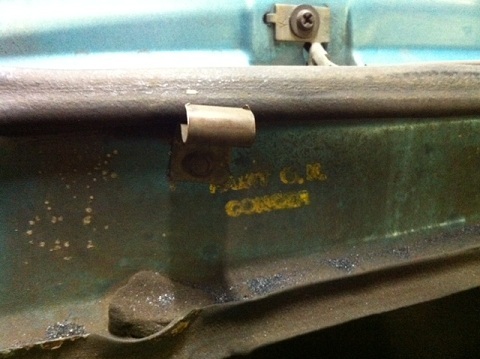 Cowl stampings can be on the left or right side of the car. This Mustang appears to have had the cowl stampings done before the fenders were mounted. It is not uncommon to see double stampings. They can be blurry or partial stamps. This is the bottom of a Mustang hood. It is also stamped. 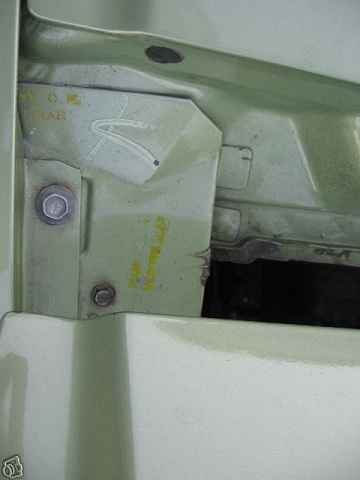 Because Shelby hoods were added at AO Smith, they will not have New Jersey inspector stampings.